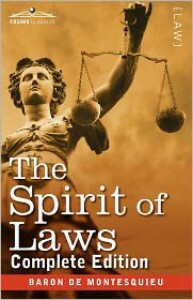 I’m not sure what can compare in the West to The Spirit of Laws before its publication in 1748. Sure, there were the Greeks. Plato’s Republic and Laws were extensive dialogues on constructing political systems. But those were primary intellectual exercises. The debate was more about the ideal rather than the practical. Plato made some comparisons of Athenian and Spartan systems, but he was not surveying systems, he was attempting to take what was best. Aristotle was arguably more thorough with his comparisons of constitutions in Politics, however it’s all still done with the goal of maximizing the Greek notion of virtue. Later, there was, of course, eponymous Machiavelli, with his own realpolitik approach to governance and his advice for the most effective prince. Freedom being only useful in placating the governed. Then there were the Englishmen: Hobbes and Locke. Hobbes, unrestrained by the virtue of the Greeks, had his own pragmatic advice for those serving as the authoritative leviathan. But Locke was different. He gave us a hint of what was to come with Montesquieu. His empirical approach to epistemology, along with his second Treatise on Government, echo a hundred years later in this Frenchman’s work. Montesquieu built on Locke’s sketched out separation of powers principle to demonstrate the check such a system can serve on historically competing governmental interests. Whether the overlying government is a form of monarchy, republicanism or despotism, there are three powers that must be assigned: the executive, the legislative and the judicial. Containing and balancing these powers define the government. But Montesquieu did not come to his conclusions a priori like his ancient Greek predecessors. He, like Locke, was much more Baconian. Montesquieu used induction and became a political empiricist. He surveyed the world, ancient and modern (at that time) to provide examples to draw upon. If there was any Greek he was most like, it's Herodotus. Like Herodotus, his impressions of far-off lands sounds naïve to the modern ear. His stereotyping of conniving Chinese, docile Indians, and unsophisticated Africans makes his writing cringe-worthy at times. With such general assumptions, he constructed theories of how governance in those lands must be adaptable to the character of its' people and climate. 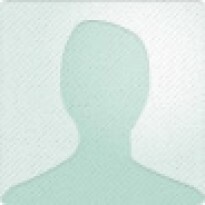 Though fundamentally flawed in his understanding of foreign cultures, it was still an impressive attempt at recognizing that unique cultures may benefit the most from different approaches. There is no universal “best” government. Montesquieu was probably the first political anthropologist. His discussions of Europe fare much better for the modern reader. He walks the reader through countless Frankish, German and English examples of government. Almost all of Volume II is a historical walkthrough from the Greeks and Romans to a couple generations after Charlemagne. I’m not sure what his points are, or even if had any, but it is an impressive summary of European political development. He thought slavery was generally bad, but made exceptions. Based on climate. And skin color. Oh yeah, and he thought women weren't really up to the task of much outside the home. These ideas are not going to win many converts today. But much can be taken from Montesquieu based on what you want. His writings inspired the American Revolutionaries and the autocrat Catherine the Great. Few books can accommodate such an ideological range. His presence is still felt today. Though we may question our ability to implement his better ideas, many still cherish the concept of separation of power and checks and balances.